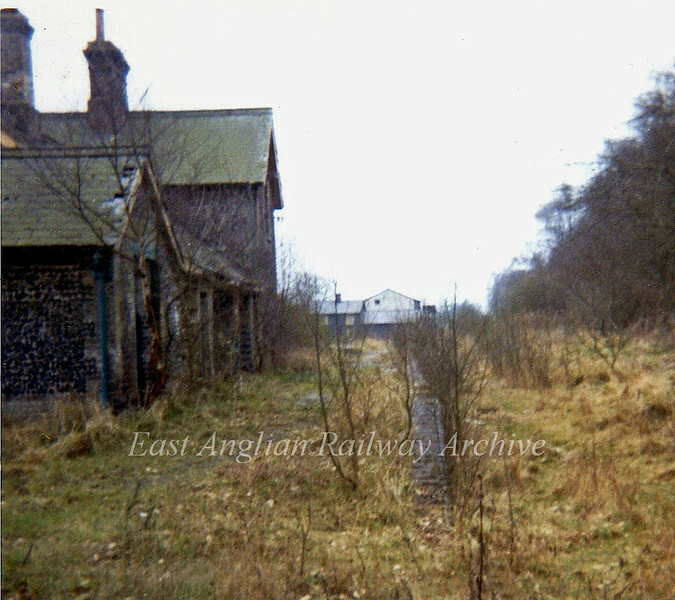 Flint built Stow Bedon station, Norfolk ,Thetford to Swaffham branch. The line closed to passenger traffic on 15th June 1964. Photo dated April 1973. Nothing remains today. The station disappeared under road improvements.